First appearing on the tour for a year in 2002/3 as a teenager, Matt regained his place in 2007 by virtue of finishing 7th in the PIOS rankings during 2006/7. Having just done enough to retain his place on the tour for 2008/9, a consistent season during which Matt lost just one opening round match saw him retain his place on the tour for the following campaign. Despite this however, his season ended in slight disappointment as having won his opening match against Robert Stephen in impressive style, he then lost what was effectively a play-off for a top 64 spot in his next match with Rod Lawler. Now aged 24, Matt headed into the 2009/10 season knowing that he would now need to kick on and begin moving up the rankings while still young enough to really make a mark in the game. “It’s the first time I will have qualified for the TV rounds of a tournament. “I played shots I’ve never played before. Steve is the best of tacticians and I got sucked into it a bit. Though he could do little to stop reigning world champion John Higgins out in Shanghai, he clearly took confidence from his run and managed to repeat the feat at the very next event – the Grand Prix. There he overcame Jordan Brown, Jimmy White, Stuart Pettman and Fergal O’Brien to qualify for Glasgow with a series of high-quality performances in which he compiled twelve breaks over 50. Again though he was to come unstuck in the last 32 against a former world champion from Scotland, this time in the form of the great Stephen Hendry. 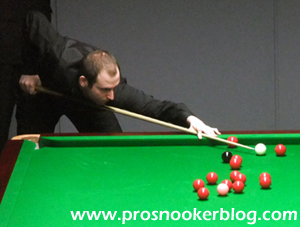 While he could not make it three venues in a row at the UK Championship, losing out to Rory McLeod in the third round, his ten wins at Pontin’s were enough to see him move up to number 54 in the provisional rankings, well inside the all-important top 64. From here although the second half of the season did not see him reach a third venue, he continued to win his opening round matches and confirmed that he would move up inside the world’s top 64 for the start of the 2010/11 campaign. Matt made a consistent start to the 2010/11 season, reaching the last 16 of two Players Tour Championship events as well as defeating Lasse Munstermann to reach the third round of the World Open. His best performances during the season’s major events were to come at the German Masters and World Championship tournaments where he was able to make it through to the final qualifying rounds before losing out to Stephen Lee and Marcus Campbell respectively. Though he was not able to make it to a venue, his consistency during the earlier rounds was enough to lift him up inside the 48 for the first time in his career. 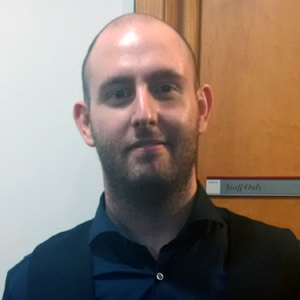 Matt came into the 2011/12 season with points to defend following his strong start to the season two years previously and began in style by qualifying for his third venue at the Australian Goldfields Open for the loss of just one frame against Adrian Gunnell and Ricky Walden. Drawn against reigning world champion John Higgins at the venue however, few expected Matt to progress further, particularly as he slipped 4-1 behind early on but he was able to respond with a four frame burst to claim arguably the best win of his career to date. He was not to stop there either as he shocked Stephen Hendry 5-1 in the last 16 to progress to his first ranking event quarter-final where he would lose out 5-3 to another former world champion Shaun Murphy. 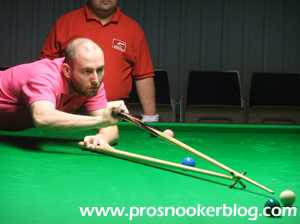 Despite defeat though it was an excellent week for Matt who consolidated his position inside the top 48 as a result. 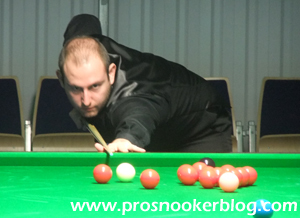 Following this run Matt’s form was to be consistent, three last 16 appearances at PTC’s together with a successful qualifying campaign for the UK Championship helping him to a career-high ranking of 38. 2012 was to prove more challenging for Matt as he failed to make it through to another venue, though consistent opening round victories helped to maintain a ranking around the 40 mark. His campaign was though to end on a low note as he lost 10-5 in the opening round of the World Championship qualifiers to China’s Yu Delu. Matt made a strong start to the 2012/13 season, qualifying for the venue stages of the Australian Open, before there defeating defending champion Stuart Bingham and Welshman Ryan Day to repeat his quarter-final run of the previous year. Following his 5-3 defeat to Barry Hawkins there however, Matt was to enter something of a slump, winning just five more matches during the rest of 2012. 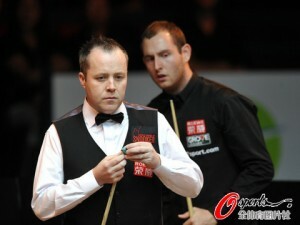 Matt was to show signs of recovery in 2013 however, as he won his opening matches at the China Open and Welsh Open qualifiers, before he then defeated Thanawat Tirapongpaiboon and Ken Doherty, surviving a comeback from 9-4 down to win 10-9 against the 1997 world champion, to qualify for the venue stages of the World Championship for the first time. Although he was to start off slowly against Mark Selby in the opening round, he was to show what he could do on the biggest stage of all, before eventually losing 10-4 to the world number one. Matt’s strongest run during the 2013/14 season was to come at the European Tour event staged in Gdynia, as he defeated Ahmed Saif, Allan Taylor, Anthony Hamilton, Robert Milkins and Judd Trump to reach the semi-finals, before he lost out to friend and eventual champion Shaun Murphy. Elsewhere however, it was to be a difficult season for Matt, as he lost his opening match at the first four full-ranking events of the season, which became six from seven before the turn of the year. His best result was to be a last 32 appearance at the China Open, before he defeated Rhys Clark and Thepchaiya Un-Nooh to reach the final qualifying round of the World Championship, ultimately losing out to Welshman Michael White. Arguably his strongest season to date as a professional, 2014/15 saw Matt reach his first final at an event carrying ranking points at the Lisbon Open, where he lost 4-2 to Scotland’s Stephen Maguire. He also made it through to the semi-finals of the Haining Open, as well as reaching the last 16 of the UK Championship before running into eventual champion Ronnie O’Sullivan in York. His strongest performance during the second half of the season was his run to the last eight of the Players Championship event in Thailand, narrowly losing out to former world champion Mark Williams in a decider. 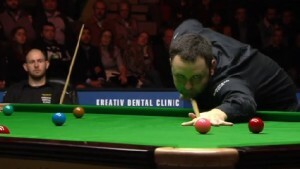 Despite struggling with illness during the World Championship qualifiers, he was also able to come through three matches to qualify for the Crucible for the second time in his career, but could not complete what looked like being a remarkable comeback from 9-4 down against Barry Hawkins, losing in a final frame decider. Thanks to his form over the course of the season however, he had done enough to finish the campaign ranked up inside the top 32 for the first time in 30th position.